Run any account on SocialRank like it’s your own. Compare any two audiences using Market Intelligence. Build a highly-tailored database of Twitter handles to use for your Promoted Tweet campaign. 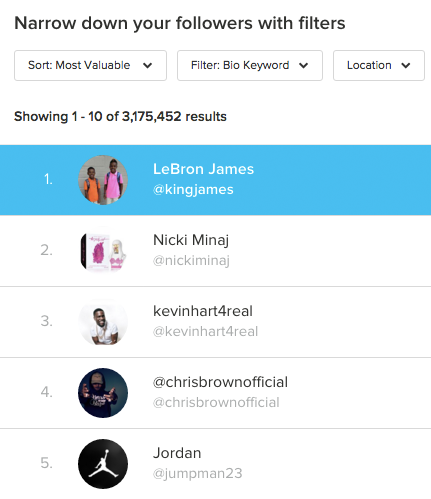 Use Market Intelligence to find influential people with the right audiences for any campaign. Market Intel is everything SocialRank already does, organizing your Twitter and Instagram audiences and giving you control of sorting and filtering them by location, interests, engagement, and influence. Except now you can do that with any public Twitter audience you want. Want to see Coca-Cola’s, eBay’s, or your competitor’s audience? That’s what Market Intel lets you do. Market Intel is very simple. Enter the handle you want to view and, voila, it starts running. This audience could be one with over 10 million profiles, or it could be your reclusive neighbor’s dog’s Twitter account. As long as the account is public, it will run. 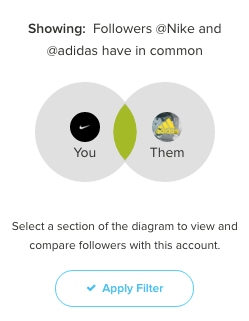 Once the account processes, you’ll be able to dig into their audience. 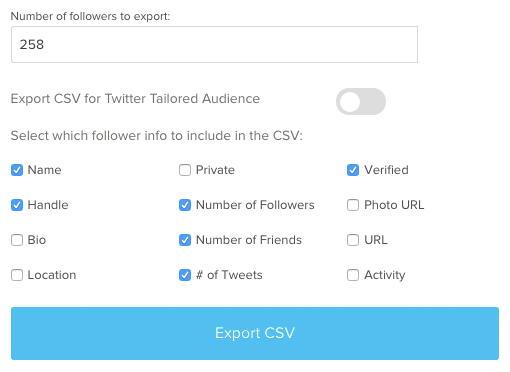 You can do all the filtering, sorting, saving, and exporting you want (CSV Exports only available for Twitter). Who should use Market Intel? Market Intel is currently used by social media managers and digital marketers at brands of all stripes. We’ve seen the product used by Fortune 500 companies and high-growth startups for customer acquisition; digital agencies for market research; nonprofits and artists for audience management; journalists for finding sources; and recruiters for prospecting candidates. What are some ways I could use Market Intel for my business? There are a bunch of creative use cases for Market Intel, but here are two to get you started. 1. Promoted Tweet campaigns with highly-tailored audiences: find people who would actually respond favorably to seeing an ad for what you’re selling. 2. Demographic and psychographic customer research: get a more holistic understanding of the types of people following brands in a particular industry. There are so Many social media analytics tools - how is this different? While we have the deepest respect for other social media management tools out there, we find that having too much information causes paralysis by analysis. More data typically begets more data and more confusion. Our platform, however, has a singular, narrow focus. We think that the single most important feature of social media engagement is the people themselves. Everything else (content optimization, editorial schedules, social listening, etc) comes after this fact. This means we occasionally won’t have the one-off features you might see with other platforms.